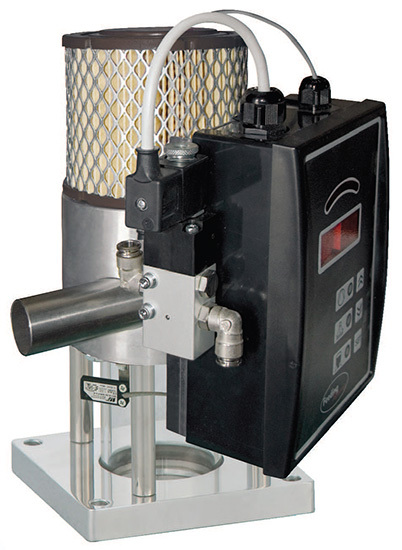 Compressed-air feeder for small throughputs up to 20-30 kg/h. Entirely made of anodized aluminium and Pyrex stub pipe with adjustable level sensor, the VLV feeder is equipped with a high-efficiency suction probe. It can be directly installed on a machine or a small maintenance hopper.